Oh, I'm glad you got to try Adelsheim again! And even more glad that you like them! I'll be looking for that Pinot Gris, for sure. 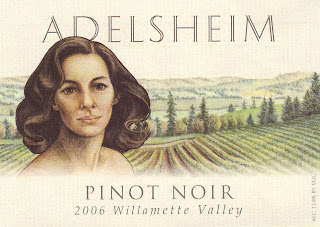 The Adelscheim is our favorite Pinot Noir! I just bought a bottle of the '06 last weekend. I'm not sure it will last until fall... We were hoping we wouldn't drink it until Easter. :) I have not tried the Pinot Gris, but will now. Thanks! 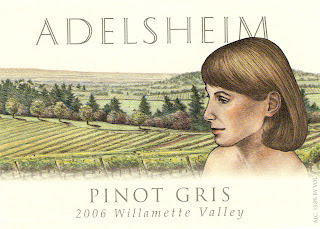 I had a bottle of the Adelsheim Pinot at a Ruth's Chris a couple of years ago at my guest's suggestion. I would never have remembered the name until I saw your post. No mistaking that label. I do remember that it was pretty darn good. I'm glad I gave it a second try, too, Wine Scamp. Mo, go for it. That Pinot Noir will be great with Easter food. And Justin, glad to help you locate the mystery wine that you enjoyed so much. I hate when that happens to me in restaurants!